← New Online Resources Page! That tiny label says: “To prevent fermentation, add 1/10% Benzoute of Soda.” Just in case. What is it, you say? 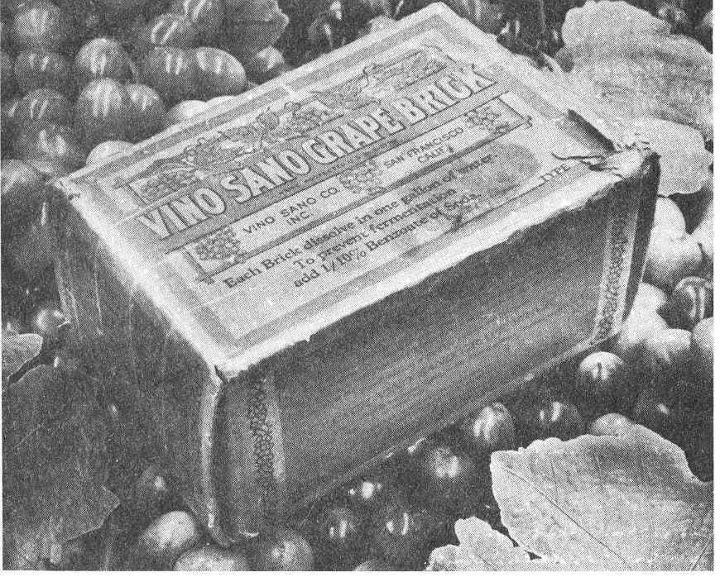 Why, it’s a “grape” or “Bacchus” brick—a solid block of grape concentrate, made from pressed wine grapes. These little bricks were capable of something amazing, however. When broken down and combined with a gallon of water, they produced a healthy, wholesome grape juice that was the perfect refreshment for a hot summer’s day that the whole family could enjoy! …you might end up with this! 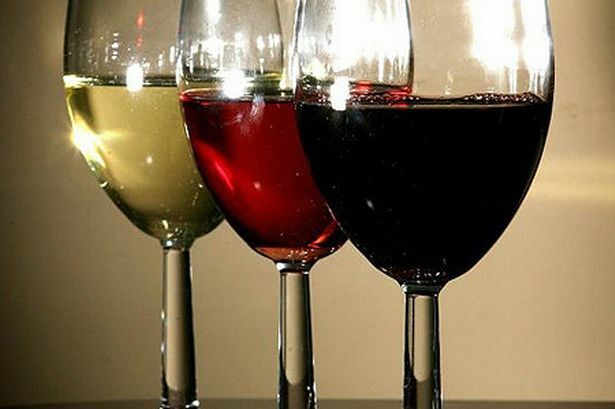 And in multiple flavors, too: Port, Torkay, Muscatel, Claret, Riesling, Burgundy…the list goes on and on! But wait a second, you might say to the shop girl. Stop right there. Doesn’t selling these bricks violates the Volstead Act–you know, that law Congress put into place in 1918 to prohibit the sale of alcohol? Doesn’t that make what I’m buying–gasp–illegal??? Turns out, not so much! 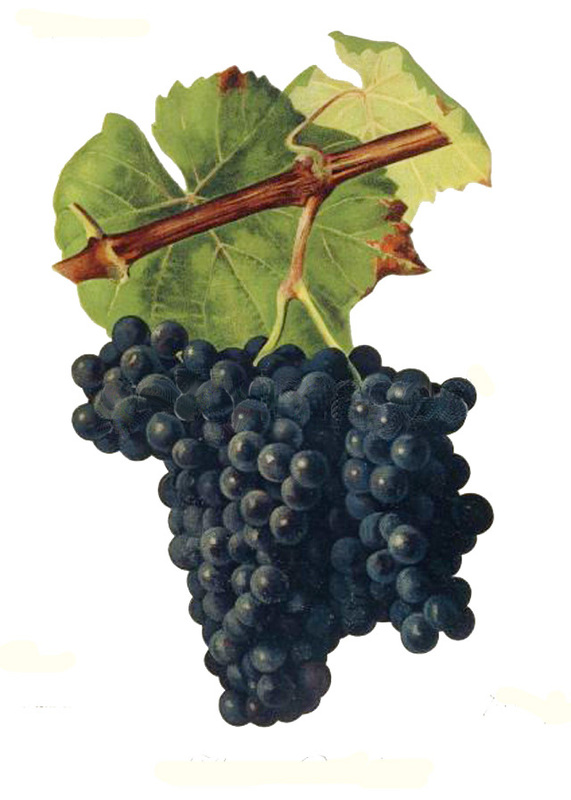 However, while all of this wine production helped to “more than double wine consumption from 70 million gallons of wine per year in 1917 to 150 million gallons by 1925” it came with a price: a major drop in wine quality.12 Like its Prohibition alcoholic brethren, wine suffered considerably thanks to producers who were looking for cheap ways to cut corners. Growers discovered that one way to produce a lot of grapes quickly was to rip out their current crop and replace them with Alicante Bouschet, a kind of fast-growing, thick-skinned grape which blog Serious Eats ranks as “slightly above ragweed” in terms of pedigree.13 Blogger Chris Kerns of Forgotten Grapes describes the wine made from it as a “hearty dark red…with a strong tannic bite,” with an emphasis on the tannin.14 Since it could be pressed twice thanks to its thick skin—and thus make double the wine than other grape varieties—many growers used it to get more bang for their buck.15 California growers planted hundreds of fields full of inferior grapes like the Bouchet, until it accounted for nearly one third of all wine production in the United States. People just couldn’t get enough of it. 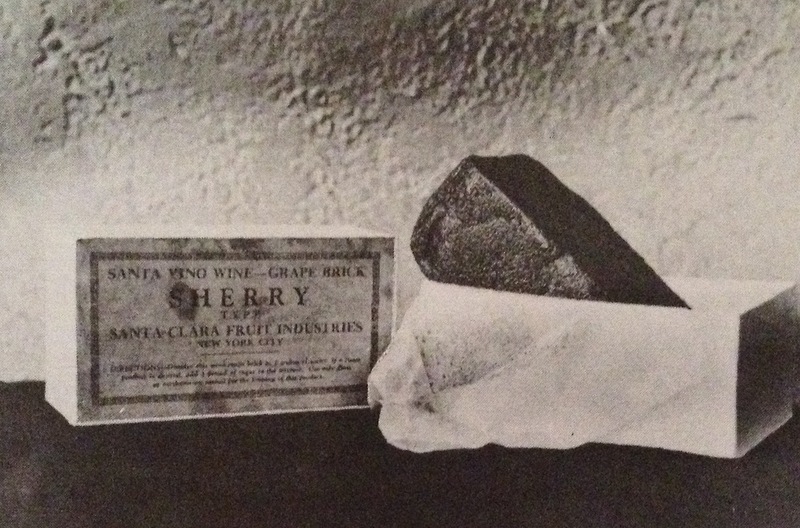 > Open “sherry” brick from This fabulous century, volume III: 1920-1930. 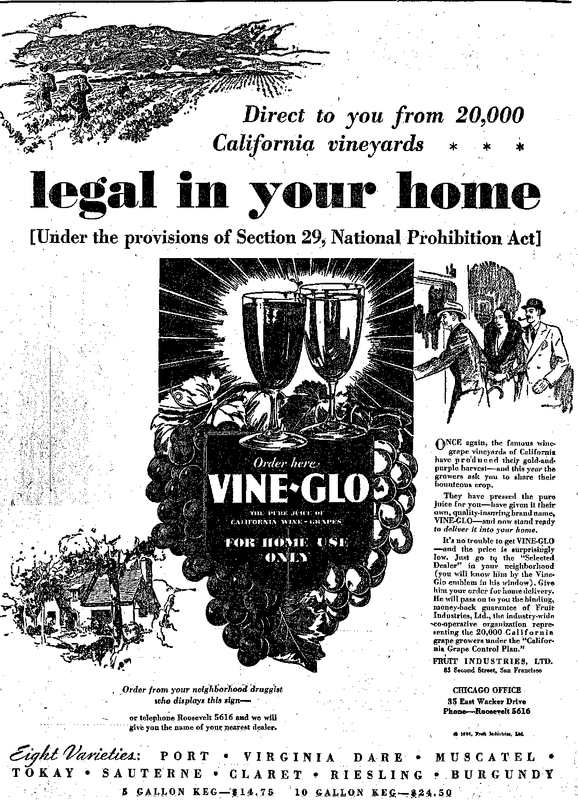 > Vine-Glo Ad is from the Chicago Tribune archives. “Display Ad 19 — No Title.” Chicago Daily Tribune (1923-1963). Dec 8, 1930. pg. 20. This entry was posted in bootlegging and tagged bootlegging, drinking during Prohibition, Vine-Glo, wine bricks, wine during Prohibition. Bookmark the permalink. Well, I wish I had found an article like this when I was reserching Prohibition. Instead I had to piece the info together from many books. Pingback: February 7: Viognier and Blend, Drones Help California Winemakers, and the Perils of Prohibition – Sip it or Skip it!